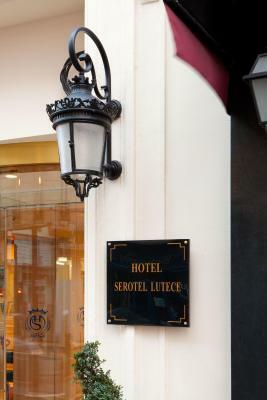 Lock in a great price for Serotel Lutèce – rated 8.5 by recent guests! Very comfortable quiet room. Good choice for breakfast with excellent coffee. Would happily return to stay if visiting Paris again. Booked last minute and didn't have expectations - place was perfect. They put me in a nice room with a courtyard view, large, huge bathroom with everything. Free coffee machine in the room, super nice staff, they were able and willing to change a unchangeable reservation without hesitation, booked a taxi last minute that was cheaper than an Uber - seriously better service at this hotel then several 5 star hotels I've stayed at. 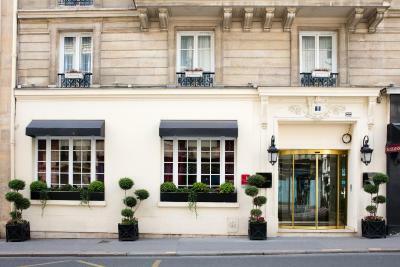 The building and the surrodings look great and has a paris style. The location was excellent. The rooms were a decent size. It was nice and quiet. The staff was friendly and helpful. 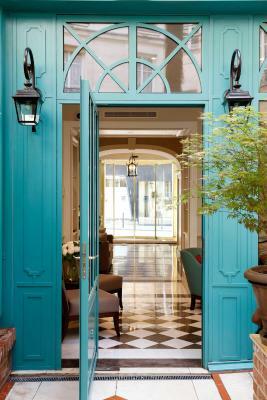 The ambiance felt very Parisian with spectacular views of the Paris skyline, and windows that opened out into the night air. They were also very gracious in holding our luggage when we went to explore. The concierge was fantastic. 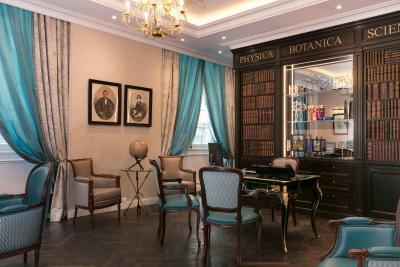 Great location, clean and friendly staff. Most important, a good air conditioner!! 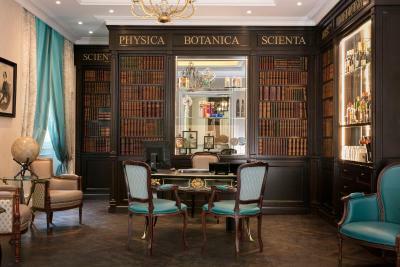 The staff was super nice and accommodating. When we arrived she upgraded our room, took care to give recommendations of where to eat, metro, taxis, etc. in the morning she held our luggage while exploring the city and called us a cab to catch our train. Breakfast was hearty and very fresh. Breakfast good. Staff helpful. Markets and restaurants nearby. Quiet street. 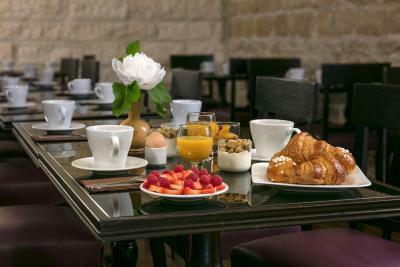 Breakfast in cellar with arched stone ceilings. 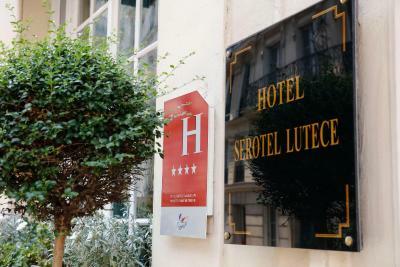 Serotel Lutèce is in Paris, a 10-minute walk from Jardin du Luxembourg. 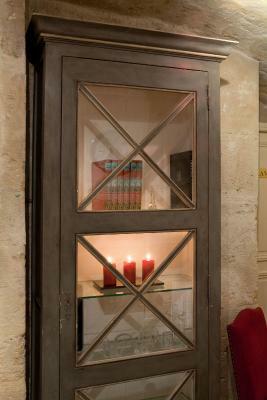 It offers air conditioned and soundproofed rooms, some feature a private balcony. 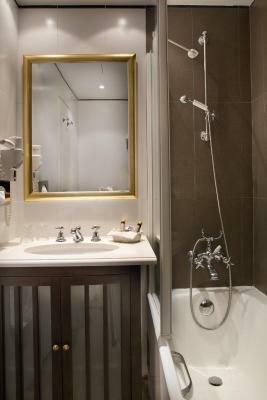 Each room has classic décor and has a satellite TV, tea and coffee making facilities and private bathroom. 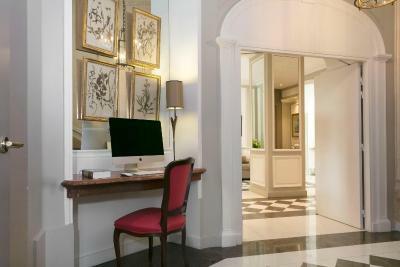 All rooms are accessible with elevator. 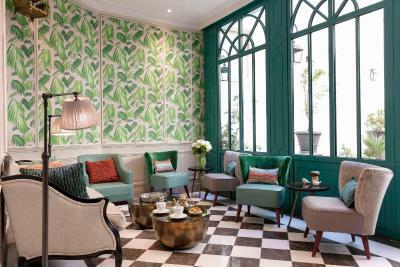 A buffet breakfast is served daily at the Serotel Lutèce’s chic dining area. 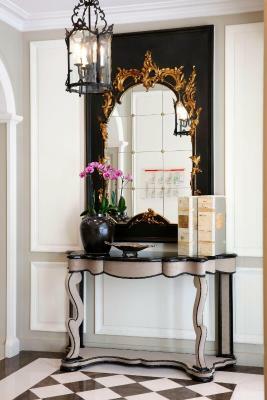 Guests can enjoy a drink at the hotel’s bar or on the terrace overlooking the grounds. The hotel provides an airport shuttle service. A 24-hour front desk with laundry facilities is available. 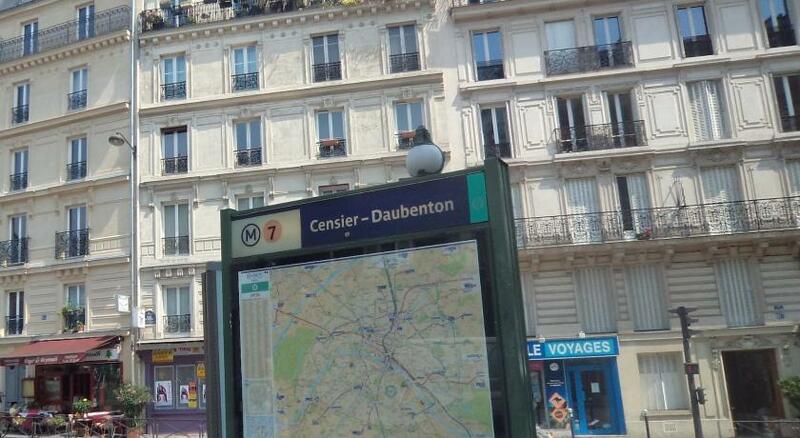 Censier – Daubenton Metro station is 1,700 feet from Serotel Lutèce, giving direct access to Opera and Chatelet. 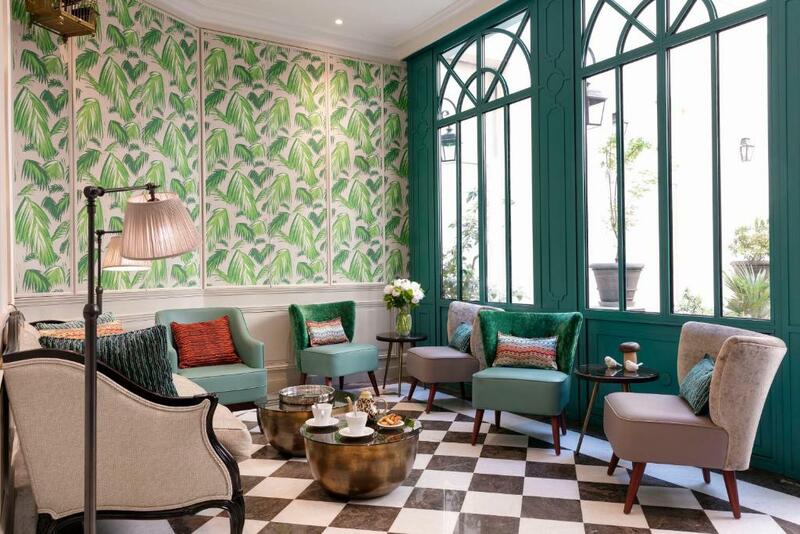 Jardin des Plantes is half a mile from the hotel, Seine River and Notre Dame Cathedral is a 20-minute walk away. 5th arr. 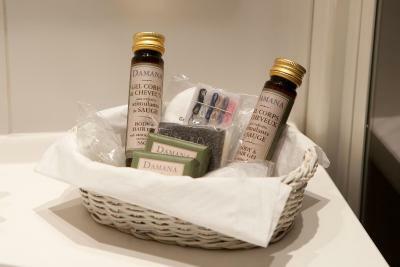 is a great choice for travelers interested in food, history and art. 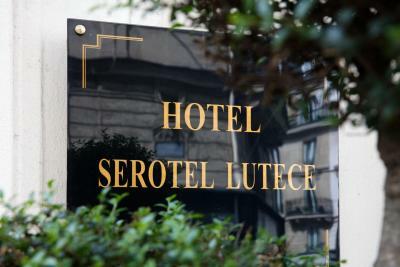 When would you like to stay at Serotel Lutèce? This air-conditioned room has fabric-covered walls and also includes double-glazed windows, a TV, wired internet connection and a private bathroom with a shower and hairdryer. This room can accommodate a crib upon request. This apartment has tea and coffee-making facilities. This room has tea and coffee making facilities. 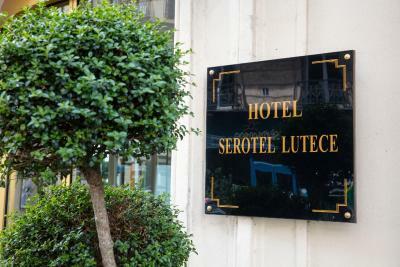 Situated on the left bank in the heart of the Latin Quarter, The SEROTEL LUTECE Hotel welcomes you into its cosy and warm decor, where history and modernity come together to offer you a calm, intimate and comfortable space. 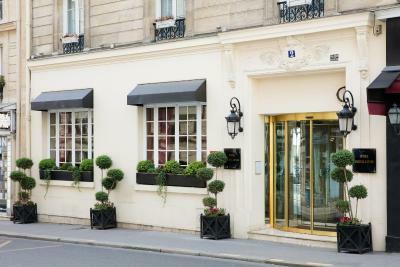 This charming hotel is surrounded by notable sights such as la Sorbonne, le Jardin du Luxembourg and la place du Panthéon. Hotel surroundings – This neighborhood is a great choice for travelers interested in food, history and art – Check location Great location - show map Guests loved walking around the neighborhood! House Rules Serotel Lutèce takes special requests – add in the next step! 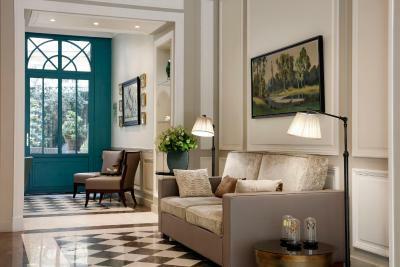 Serotel Lutèce accepts these cards and reserves the right to temporarily hold an amount prior to arrival. 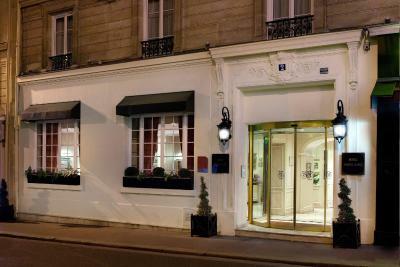 A very nice and cosy hotel, good location, around 10 min walk from Luxembourg gardens. Good breakfasts and very friendly staff! 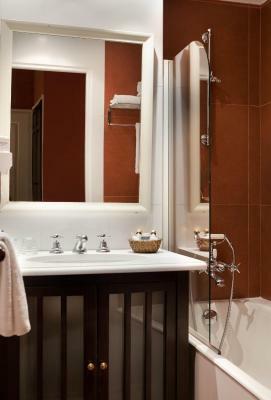 Lovely quiet room, magnificent bathroom, elegant décor. Very enjoyable stay! 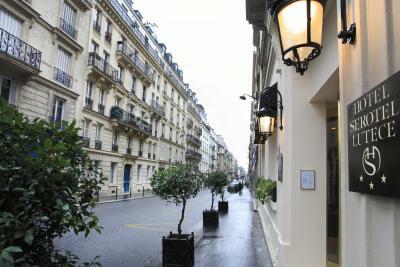 The property was perfect for our 4 day stay in Paris. The room was small but well appointed and the bed was very comfortable. We were upgraded to a room which opened onto a small balcony. The balcony was nothing special but was nice to have the option to enjoy the fresh air. Breakfast was good. Nothing special but all you need and we enjoyed it. Staff were great except one on the last night. He was not that accommodating or looked like he even cared compared to the staff we had experienced previous days and annoyed me on the last night. I went down to reception to ask for cutlery as we had ordered in takeaway. It took him over on hour to organise, very bad service. No bar or lounge area which would be nice when you have had a big day out exploring and want to be at your hotel but not confined to your room. All in all we had a nice stay and would recommend it to other people. Very small point - found the breakfast buffet layout confusing. 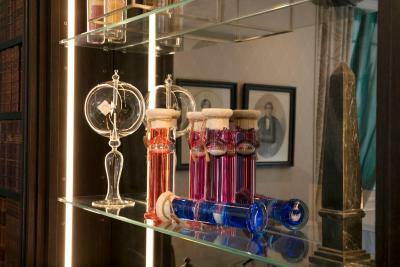 The friendliness of the staff made the stay a memorable one. Rooms very small with few sockets to charge phones and computers. No USB sockets for charging. The carpet a bit old! The staff who received us is rude. He wasn’t present while we arrive in the night, and we’ve been waiting for him for over 6 mins. Until I knocked at the door he came out telling us not in a kind way that he needs to have “human needs”. We get if he wasn’t available for the moment, however waiting for 6 mins and strangely being complaint at wasn’t what we were expecting. Hair found in the bathroom, right on top of the toilet cover. Living in the first floor we can hear the music that the hotel kept playing. Until 23h I had to go downstairs to ask the staff to turn it down (but still not turn off). Very unpleasant experience. The reception is extremely helpful! 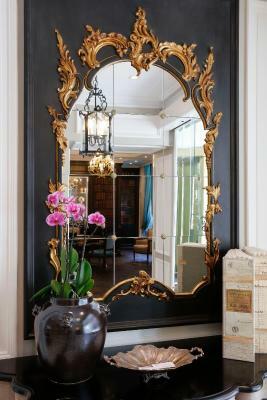 Super comfy beds, a very nice interior, quiet rooms and a nice area with lots of restaurants. Should be a very nice place in spring or summer.